If you ever heard about Ruby on Rails but never had a chance to try it in practice - we’ve got a quick fix for you. This time, on June 27-28th, we’d like to invite you to Studio Kreatywnej Współpracy Kraków for another edition of our free Ruby on Rails workshops! If you ever heard about Ruby on Rails but never had a chance to try it in practice - we’ve got a quick fix for you. Once a month, each time in a different city, we run a 2-day long, totally free of charge Ruby on Rails workshop. This time, on June 27-28th, we’d like to invite you to Wyższa Szkoła Zarządzania in Kraków. Why is joining our workshops a great idea? How do the workshops look? Gosia, Łukasz and Piotr (coached by Marek) developed a tool invented for all board game freaks. Everyone who is signed in is able to find teams and set up game dates. Mateusz and Kamil (coached by Oskar) created another app connected with board games (yes, we do love board games, sometimes even too much), to help manage your games collection. Łukasz and Michał (coached by Dominik) built a betting operator tool. You can add your bets and collect the points from every winning. you’re not afraid of speaking in English. After you’re signed up to our workshops newsletter, we’ll send the introduction task to complete your application. Afterwards, we’ll choose 15 lucky folks to take part in the event. And remember - the deadline for sending your applications is scheduled for June 21st (11:59 pm CET). Don’t wait until the last minute! What if I can’t enroll this time? No worries, we’ve already scheduled workshops for the whole 2015, so if you’re not able to join us this time, just leave your e-mail for our workshops newsletter and wait for our monthly dose of information about new destinations. Questions? Drop us a line at workshops@netguru.co! Not sure if you can handle Rails? Don't worry! Read a post by our folk why learning Rails is not so hard and get ready for some fun! P.S. The beautiful photo of Kraków was taken by one of our folks, Wiktoria. 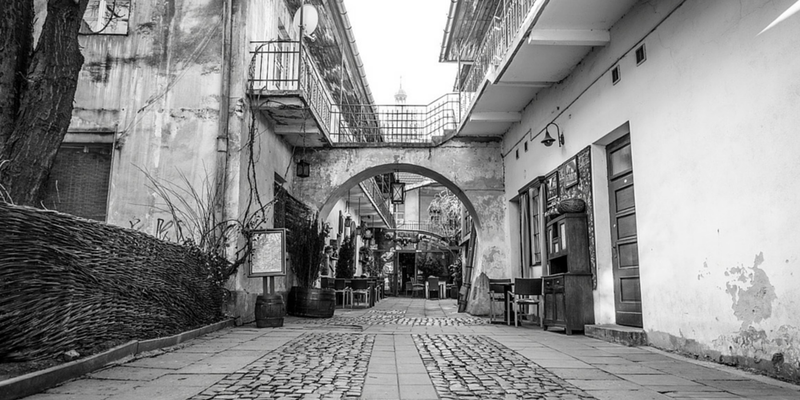 For more amazing pics from her lens and fascinating stories about Kazimierz, the city's Old Jewish district, check out Kazimir app. We're so proud of our people doing cool things after hours!